A few years ago, my husband surprised me with my first advent calendar. Growing up in a Puerto Rican household, advent calendars weren't a part of our holiday traditions, but I'd read about them in books and seen them in movies, and was completely obsessed with the idea of counting down the days to Christmas, one tiny surprise at a time. I told Eugene this when we were dating, and would repeat it every so often when I'd see a calendar on display in a store or someone's home. And then one December morning (after a few days of buzzing around on some kind of mystery mission) he woke me up with a homemade advent calendar he'd ordered from an artist he found online! Each morning that month, I'd open up the little drawer of the day to find a tiny handwritten note listing an item like "1 bottle sassy red nail polish" or "1 tube luxurious French hand cream." He'd then reach into this bag of goodies he kept hidden in his closet, and present me with the gift of the day. It was, as you might imagine, basically the best thing ever. Advent calendars--which mark each day of the Advent season with a small hidden gift or image--are such a fun way to bring the family (or even a group of friends!) together during the holidays. They serve double-duty as both decoration and gift, and are a sweet way to have a quick moment together each day during the bustle of the holiday season. 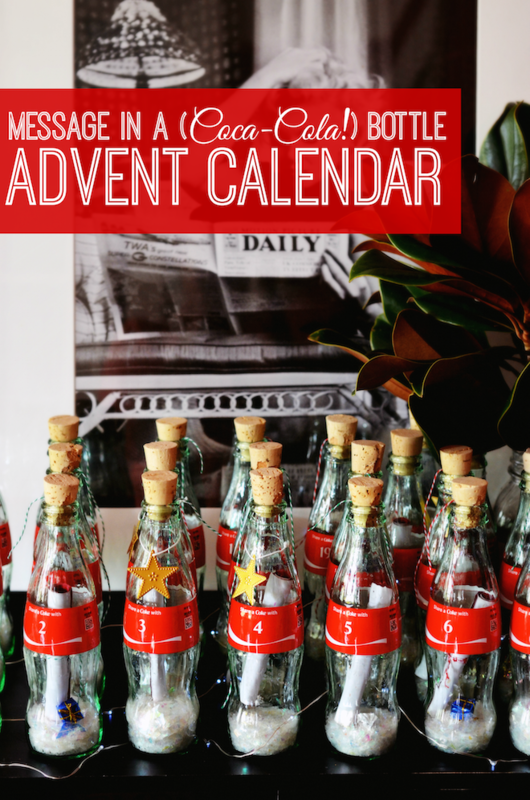 Eugene's little notes gave me the idea to create a "message in a bottle" style advent calendar this year, using classic glass Coca-Cola bottles. 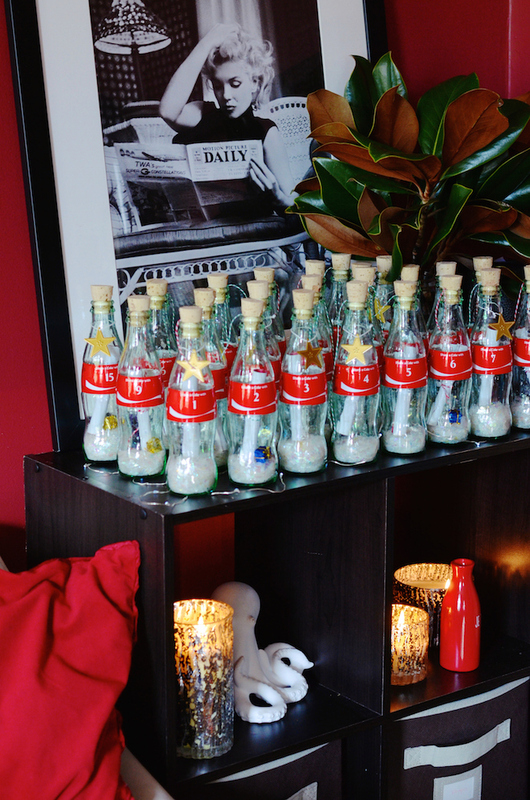 You've probably seen the "Share a Coke" bottles with names on them basically everywhere, but did you know that you can actually order and personalize the bottles with any names or words on them that you'd like? With this in mind, I ordered up 24 bottles, each personalized with a number 1-24. 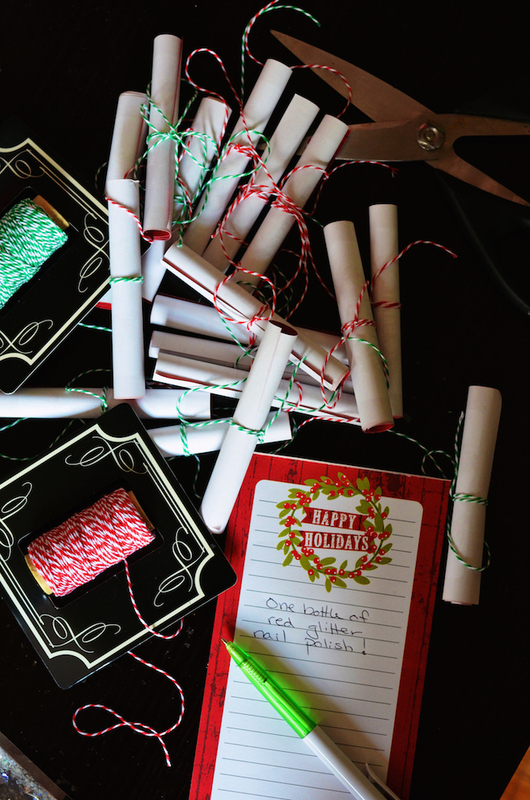 I tucked little rolled-up notes inside each one, tied with string so they come out easily and closed them with a cork from the crafts store. 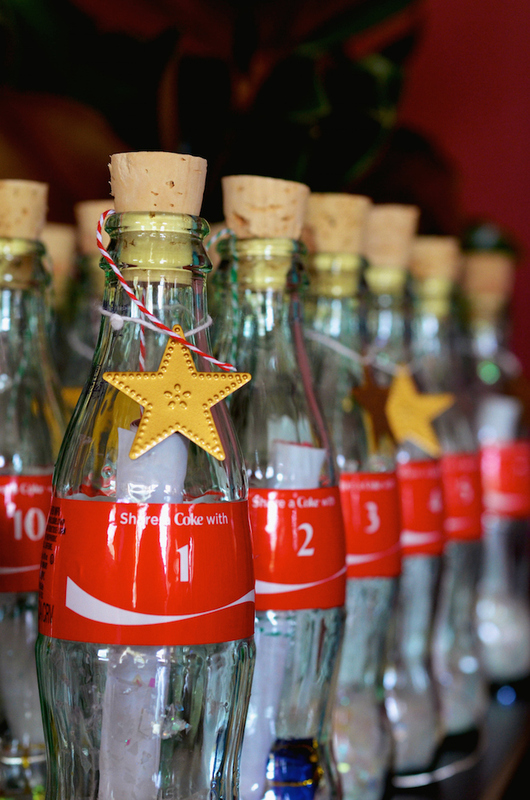 The bright red of the Coca-Cola label is festive enough, but you can also add glitter or fake snow to the bottom of each bottle to dress it up even more, and add a few twinkly lights around the display for a little extra holiday sparkle. 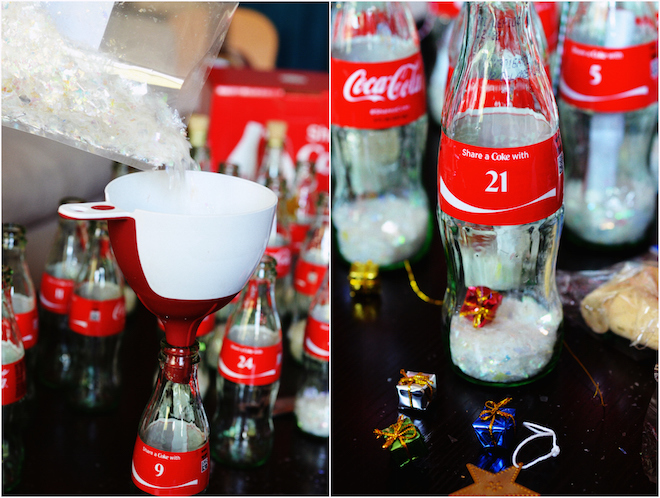 From December 1st through the 24th, your family members can take turns opening up a new bottle each day to reveal the surprise. And what to put inside? Well that's totally up to you! You can follow Eugene's lead, and have each note reference another small gift that you keep elsewhere. Keep it simple with cute small gifts like travel sized bottles of lotion, nail polish, candy or chocolate bars, tiny toys, or costume jewelry. Or how about a treasure hunt? With each note revealing a riddle or clue to a bigger gift or surprise that is then revealed on Christmas Day. And remember that not every note has to be something material! Feel free to alternate gift days with simple cute notes, motivating quotes for the day, a picture, or even a tiny short story (look up "micro short stories" online for ideas). Planning an advent calendar can take some time, so start as soon as possible. 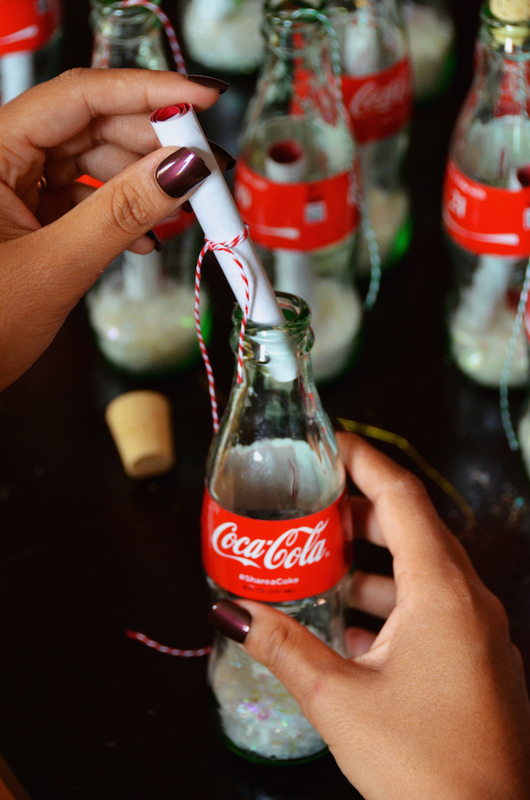 If you don't have the time to order the personalized bottles, you can just use the regular glass Coca-Cola bottles you find in your grocery store, and create your own number labels to either tape around or dangle from the neck. To clean the bottles before using, I suggest rinsing with hot soapy water, and drying upside down on a rack. Skip the dishwasher as it can damage the label. Don't skip the string around the message or you won't be able to get the note out easily. If you want to make it even easier, leave a bit of the string dangling out of the bottle when you put the cork in. And remember that once the season is over, you can pack away the bottles to use again next year. 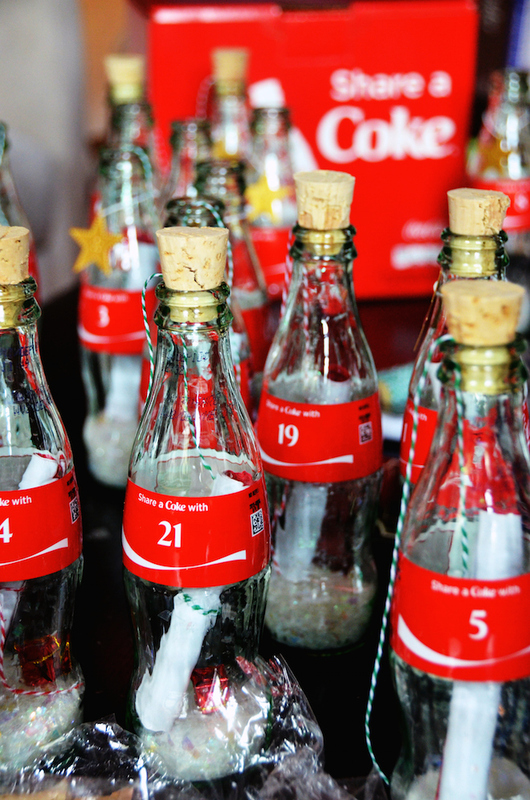 I hope this inspires you to get creative with your own homemade message in a Coke bottle advent calendar. Be sure to share pictures or let me know what you include in your own version! 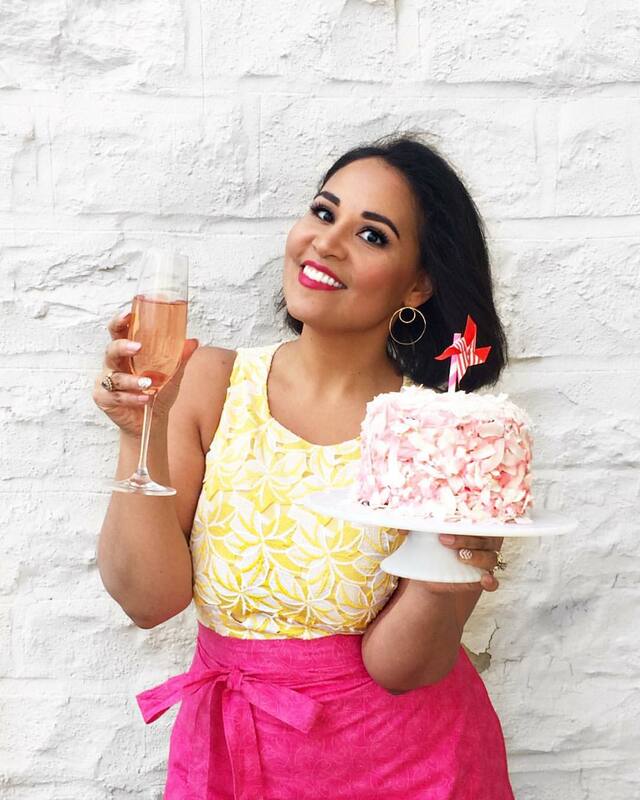 Stay tuned for more holiday ideas from me, and hop on over to the Coca-Cola Pinterest Page for some more fun recipe and holiday inspiration.